All of the stars that you can see with your unaided eye at night belong to a vast swirl of stars known as the Milky Way Galaxy. We see our home galaxy as a cloud-like arch across dark skies. The Sun is one of a few hundred billion stars that orbit the center of our galaxy. We have not always known that we live in a spiral galaxy. For the last three or four centuries, we have been discovering more and more details of our place in the universe. Galileo was the first to realize that band of light across the night sky consisted of thousands of stars visible only through a telescope. In the late eighteenth century, William Herschel had a fairly simple, and incorrect, view of our place in the universe. Although his effort to map our home galaxy was the first of its kind, Herschel did not not know of the importance of interstellar dust and its effects on the brightness of stars. It was about eighty years ago when Harlow Shapley and his contemporaries first understood the true nature of the galaxy in which we live. Although the new ideas certainly were not accepted without debate. But we do agree on its basic structure. 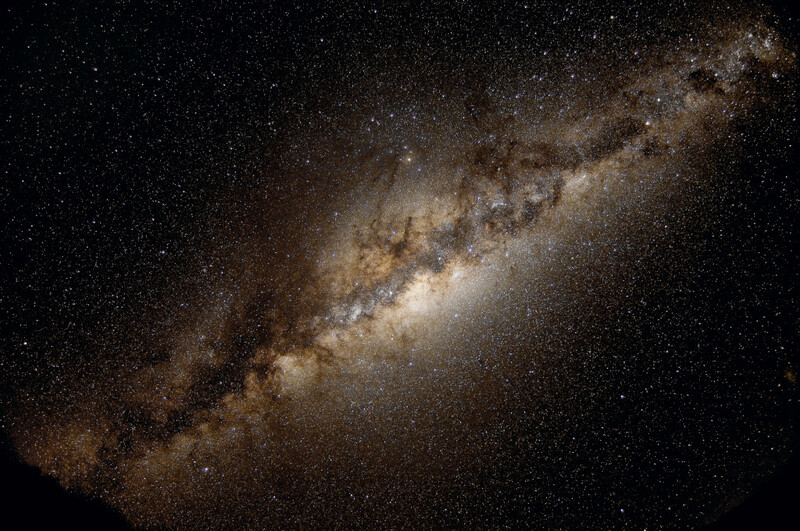 Today, we can make much more accurate maps of our home galaxy. A Fun Facts Friday Video!